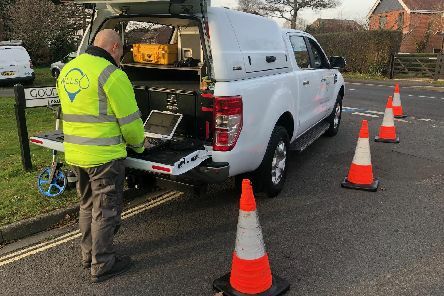 INVESTMENT in new leak detection technology means Portsmouth Water has been able to reduce the volume of water it loses on its extensive network every day by six million litres. 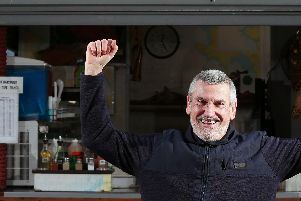 A BUSINESS owner who was set to lose his livelihood because of a council decision has told of the devastation he suffered before being told, after thousands signed a petition to help him, that his seafood kiosk would be saved. 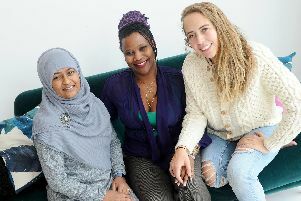 INSPIRATIONAL women who have made an impact in Portsmouth have the chance to be recognised at an inaugural awards ceremony which aims to celebrate females. 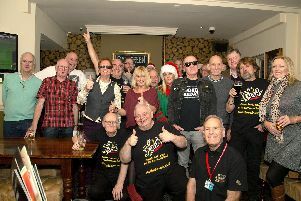 HE is always clean-shaven and chooses not to grow out the hair on his head – but he won’t look so groomed once he has finished raising funds for a cancer charity. 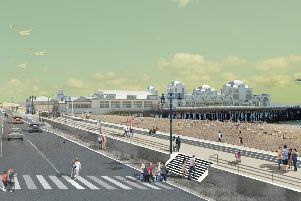 BIG changes have been made to the multi-million pound sea defence scheme that will run from Old Portsmouth to Eastney, and that will protect more than 8,000 homes from flooding, for years to come. 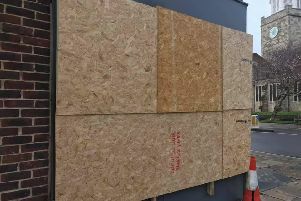 A BUSINESS has been forced shut following an early hours of the morning break in which saw cash, iPads and a charity tin stolen. 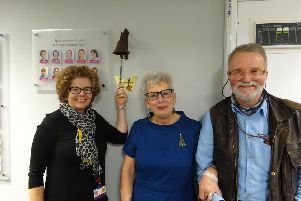 A BELL for cancer patients to ring at the end of their hospital treatment has been installed so they can share a symbolic moment, with loved ones and staff, and embrace moving on with their lives. ONE TOWN is set to feel the benefits of a much-welcomed boost after plans for its own radio station have been revealed, and a £1,000 grant has been won for activities for this year’s summer fete. 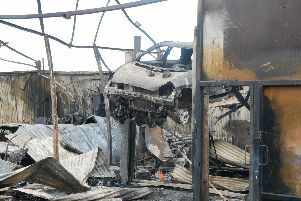 THREE units, seven stables, four cars and three heavy goods vehicles were all damaged in a horrific fire that engulfed part of a Denmead yard and saw black plumes of smoke billowing into the air. 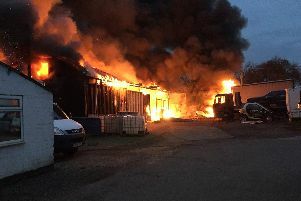 TWO MEN were injured and horse stables engulfed in flames after more than 50 firefighters battled a huge fire at a yard in Denmead. 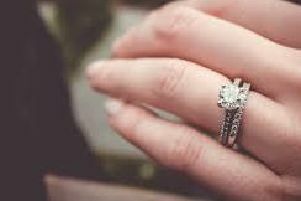 HOTEL chain Travelodge has revealed the unusual items left behind in its 557 hotels in 2018. 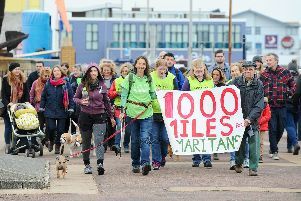 A SISTER who vowed to raise funds for a deserving charity in memory of her brother has walked the last mile in the gruelling 1,000-mile challenge she set herself. AS ONE year draws to a close and a new one dawns, one MP has set out his targets and goals for 2019, while reflecting on the events of 2018. 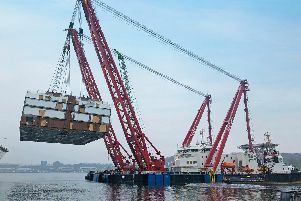 BRITTANY Ferries’ new gas-powered ship has taken another dramatic step closer to completion after her entire superstructure was craned aboard in two gigantic blocks – weighing up to 2,000 tonnes each. 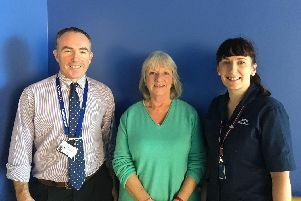 A HOSPITAL is celebrating 10 years since it performed its first-ever live kidney donation operation – and is encouraging people to sign up to become kidney donors. 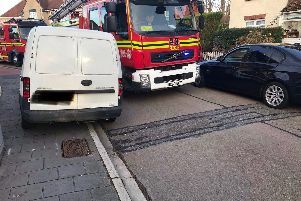 PRECIOUS time that could be spent tackling life-threatening fires and helping those in need is being lost while firefighters struggle to reach properties because of parked cars. 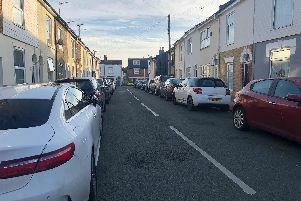 A THUG who threatened two elderly people with a knife on Christmas Day has left residents living down the same road with worries about going out at night. 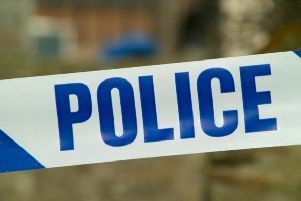 THREE shotguns, 500 rounds of shotgun ammunition and a pickup truck were stolen from a house – leading police to appeal for witnesses and information. 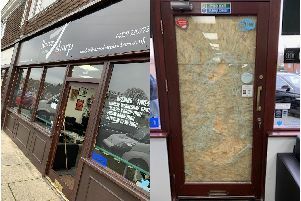 A CAFE owner said she has been forced to close for Christmas after the window of her shop was smashed by a group of drunk men. 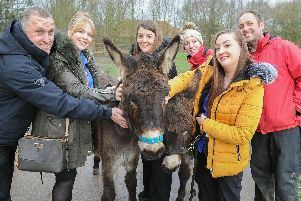 DREAMS have come true for the hardworking owners and volunteers behind a donkey sanctuary that – thanks to an extremely generous donation – will now be transformed with a new log cabin visitor centre.